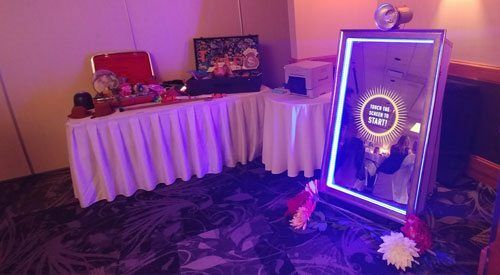 The SeeYourSelfie Mirror Photo Booth! 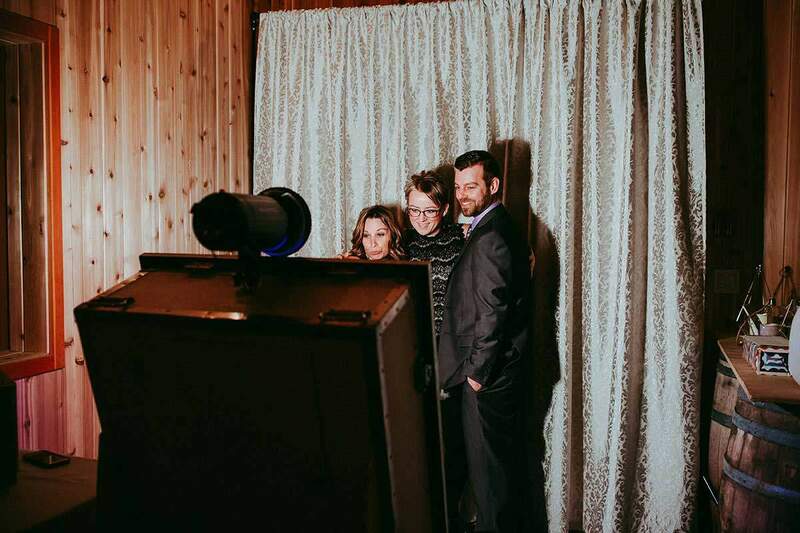 SeeYourSelfie is a brand new photo booth experience for events of all kinds! Guests can start SeeYourSelfie with a simple tap of the touch screen, and SeeYourSelfie does the rest! After, guests can claim their SeeYourSelfie picture via email, text message, or by INSTANT PRINT, and then share the photo to Facebook, Twitter, or Instagram! We even have the ability to add surveys and collect data for awesome campaign management and statistics! 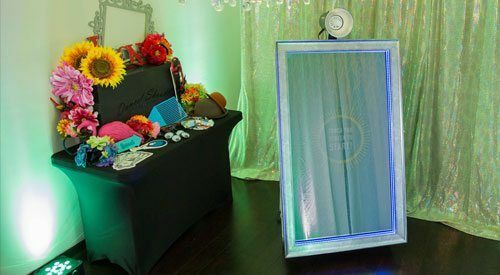 The SeeYourSelfie Mirror Photo Booth is the perfect companion to Corporate Activations, Weddings, Bar Mitzvahs, Holiday Parties, Community Events, and so much more! Save $200 When Booked With A DJ! Save $250 When Booked With A DJ! Jason and the Dance! Shout! Productions Team were a fantastic addition to our corporate event. Their SeeYourSelfie photo booth was a fun and interactive outlet for our attendees! – Lindsay R.